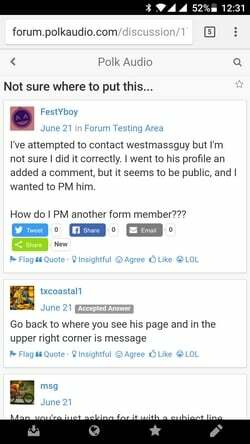 I've attempted to contact westmassguy but I'm not sure I did it correctly. I went to his profile an added a comment, but it seems to be public, and I wanted to PM him. 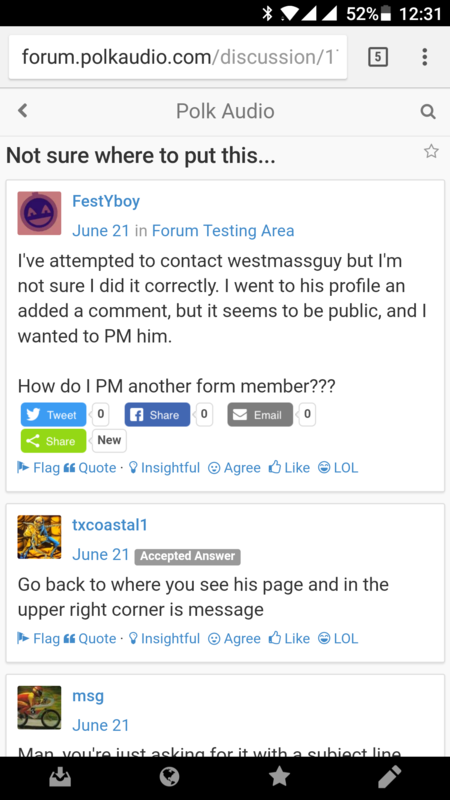 How do I PM another form member??? PMs can be sent from mobile. Use the button on the lower left corner. You can PM on the mobile site. Click the PM box on bottom left in the black bar then choose new message. Man, you're just asking for it with a subject line like that. Re: your question, yeaht, just like TXC said. Lol yeah, but it does grab ones attention! I just discovered, that the message option is only available through the full website, not the mobile version. Thank you all for the insight. WMG has successfully been contacted! Hopefully one of my random purchases will soon be up and running with his help and I'll post about it in the future. I'm sorry, this image just wasn't big enough for me to see clearly. Pixlr or PhotoGrid are a couple of options. Weird, 'cause it displays perfectly on my Android with Chrome. Auto-sized to fit, so I had no clue it would display any larger... Sorry!